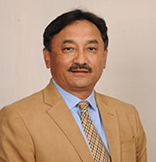 Mr. Shrestha is actively involved in management of several industries and commerce sector for more than 32 years. Most of his career was in economic sector especially in trade and commerce. During his entrepreneurship, government and private sector have recognized his caliber and dedication towards nation development and honour him with Gorkha Dakshin Bahu, Birendra Aishwarya Sewa Padak, Nepal Samman 2059, and Man of the Year 2003 by The American Biographical Institute. He is still actively involved in different social organization and association. 6. Chairman, Mai Valley Hydropower Pvt. Ltd.
Mr. Jyoti has graduated in Mechanical Engineering from IIT Kanpur, India and a M.S. from Sloan School of Management, Massachusetts Institute of Technology, USA. 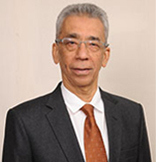 Mr. Jyoti is a leading industrialist who has been managing various industries in Nepal for the last 45 years. 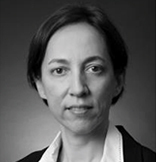 Claudine has a BA (Hons) degree in Philosophy, Politics and Economics from the University of Oxford and an MSc in Finance and Economics from the London School of Economics and Political Science. Claudine Lim joined InfraCo Asia at its inception in 2009 and played an instrumental role in establishing the Company’s operations and managing the competitive procurement process to select a developer team. Since then, Claudine has supported the InfraCo Asia board in an executive capacity and managed stakeholder relations. Her Previous roles also include leading the strategic planning, business development and investor relations functions in M1, a Singapore listed telecommunications company, as well as being part of the regional business development team for Cable & Wireless Asia Pacific, in Hong Kong. She commenced her career with the Singapore Civil Service and has held appointments in various Ministries. Ian began working with InfraCo Asia in August 2016 where he oversees project managers responsible for construction of new facilities. He ensures all procurement, design, subcontracting, value engineering and critical path methods scheduling construction and commissioning activities are executed on time and in line with the company’s quality standards. 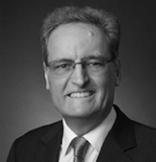 Ian is a chartered engineer with over 35 years’ experience in the design, construction and operations of infrastructure schemes in Asia. He is reputed for setting high standards for project implementation, operations and getting the best out of EPC contractors. Ian has been involved in the design, management and delivery of numerous complex power projects for consulting firms and ownership companies, including private sector funded projects such as the 1,070MW Nam Theun 2 Hydroelectric Project in Laos. 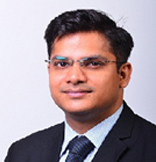 Vivek heads business operations for Equicap Asia Management Pvt Ltd in South Asia Region. Vivek currently serves on the Board of several investment companies of InfraCo Asia. In this role, he is responsible for providing expert advice on key business aspects and, where required, managing critical project development activities. In his prior roles, Vivek spent four years with ‘Nexif InfraCo Management Pte Ltd’ and five years with 'The AES Corporation', focusing on project development, structuring financing transactions and M&A in the energy industry. Vivek has also worked with Power Finance Corporation in India, where he was responsible for project appraisal for thermal and renewable power projects in India. Vivek is an alumnus of Indian Institute of Management Bangalore and has received a Bachelor of Engineering from Mumbai University. Mr. Shrestha is a certified Chartered Accountant from the Institute of Chartered Accountants of India and holds MBA from Tribhuvan University, Nepal. 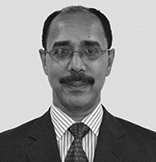 Prior to joining BPC, he was the Managing Director of Nepal Electricity Authority (NEA). He served NEA for more than 20 years in different capacities. Mr. Shrestha holds a sound knowledge on Financing, Taxation, Audits, Management, Hydropower Development and PPA negotiation and extensive experience in negotiation with different bilateral and multilateral donor agencies, local financial institutions for financing and implementation of various projects. Mr. Shrestha has attended various Executive Management Development training programs and has participated as an expert in various national and international forums related to hydropower development. He had also served various hydropower companies as a Board Member during his service period at NEA. © 2018 Kabeli Energy Limited. All rights reserved..